As you draw close to God, he will not likely take you up to heaven as he did Enoch. However, he does desire to reveal the beauty of his face to you. As we walk with him, he will open the Scriptures to us through the Spirit of wisdom and revelation and reveal to us the light of the glory of God that is to be found in him. When the zeal of God captures you, it will ignite you with a great passion to walk with God and to be his friend. God is looking for not only a clinging bride but also a walking partner. From the very beginning, God had a relationship with Adam and Eve that found them “walking in the garden in the cool of the day” (Genesis 3:8). God created man for the enjoyment of a walking relationship that involved companionship, dialogue, intimacy, joint decision-making, mutual delight, and shared dominion. 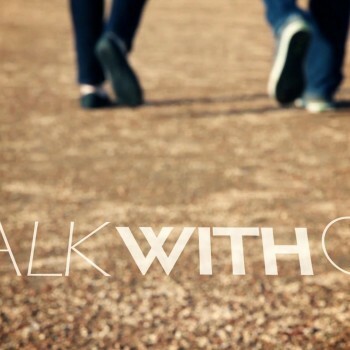 God longs to walk with you, which is why his arms of grace have been pulling you into a closer walk with him. Even though men began to call upon the name of the Lord in the early days (Genesis 4:26), Enoch was the first man to uncover the true delight of walking with God. He found something even Adam didn’t experience. He pressed into God until he learned how to commune with God through every facet of life. To find that dimension of relationship certainly required an intense spiritual pursuit, and then when he found it, the Lord made a graphic statement by taking him up to heaven.